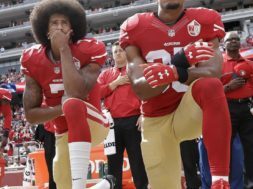 The league’s attempt to turn responsibility for disciplining protesters over to individual teams backfired on Thursday when the Miami Dolphins tried to categorize raising a fist or kneeling during the anthem as “conduct detrimental to the club.” That gave them the right to punish a player with a fine or up to a four-game suspension — one game more than Buccaneers quarterback Jameis Winston got when he was accused of groping an Uber driver. Hours after The Associated Press reported on Miami’s rules, the NFL and the players union issued a joint statement saying they were putting any anthem conduct policy on hold to see if they could come up with a compromise. But the owners aren’t left with many good options to defuse the controversy, especially with President Donald Trump eager to fan the flames. The Plan: The league’s solution, which the NFL Players Association challenged, was to allow each team to determine whether to punish its own players for protesting during the anthem. 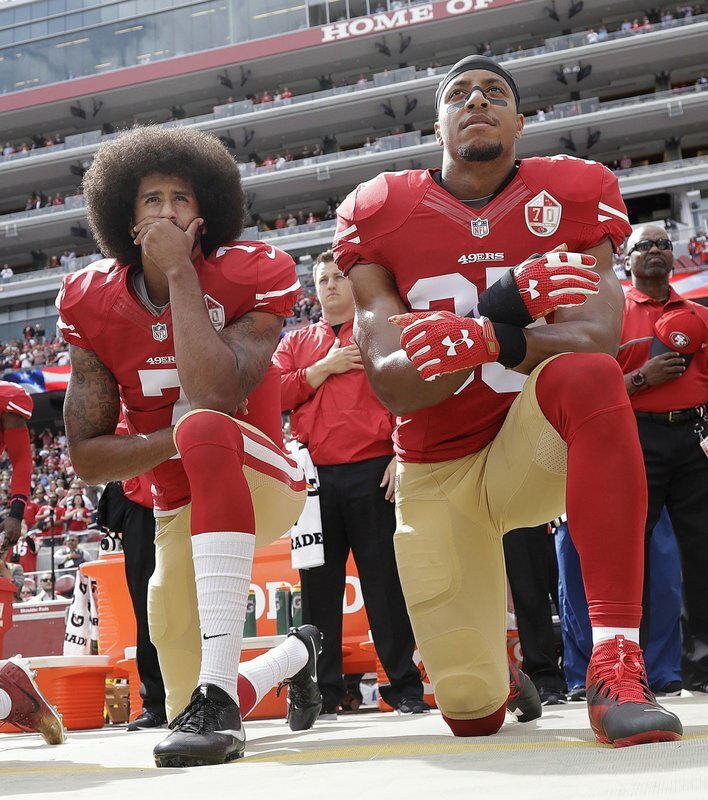 The policy adopted in May by team owners subjected clubs to fines and required players to stand if they are on the field during “The Star-Spangled Banner,” though it allowed players to stay in the locker room if they wished. This would have given hard-line owners in conservative regions a chance to clamp down while allowing teams in more liberal areas to let their players have their say. As it turned out, all it did was punt the ball down the road. The Losers: NFL owners. Any punishment is destined to divide the locker room and the fandom; should a team actually suspend a significant contributor, it would only be hurting itself. And the guarantee of unequal treatment between and within teams would surely keep the issue in the news for yet another season. The Plan: Ask players to stand at attention during the national anthem, and hope that they do. The Winners: Players, who would retain the ability to call attention to causes they believe in, namely racial inequality and police brutality . And President Trump, who gets applause any time he attacks the protesting players as he stumps for Republicans in the November midterm elections. The Losers: NFL owners, or at least those like Houston’s Bob McNair who have chafed at the notion of the “inmates running the prison.” They lose control and remain a subject of Trump’s ridicule. The Plan: Join almost every other country in the world and skip the forced display of patriotism that demands players stand at attention while fans check their phones, finish their hot dogs or take the opportunity to visit the bathroom. If teams want to honor the military or local first-responders, let them do so free from marketing deals. The Winners: Fans who don’t consider the anthem an integral part of the sports experience, giving them another 90 seconds in to spend in game day traffic without missing anything.